The foods below all contain high levels of potassium. Potassium is one of four essential electrolytes (sodium, potassium, calcium and magnesium) used in the body. Potassium helps to lower high blood pressure by counteracting the negative effect of sodium. Too much sodium makes your body hold onto excess fluid which leads to an increase in blood volume which in turn increases blood pressure. Potassium helps your kidneys expel sodium and excess fluid from the body which lowers blood pressure due to the reduction in fluid volume. Note: University of Pennsylvania researchers discovered that just 10 days of potassium restriction in the diet increased blood pressure for both people with normal and raised blood pressure. Most people eat way too much (salt is comprised of 40% sodium and 60% chloride) and not enough potassium so you have a double negative. The goal here is to increase consumption of potassium rich foods to counteract the negative effect of salt. However to get the maximum benefit from this it is also recommended to cut back on the salt as well. Note: Both the American Heart Association and the Blood Pressure Association in the UK recommend eating a diet high in potassium to help lower high blood pressure. Additionally most national health authorities now recommend increasing potassium consumption via diet along with reducing sodium intake. Below are some of the main high potassium fruit and vegetables. Fruit and vegetables contain the highest amount of potassium of any food type. The only other notable source of potassium is dairy products. Dairy also has the benefit of being high in calcium and should be included daily in your diet, but be sure to choose low fat dairy options. To help lower blood pressure try to eat 5 portions of the high potassium fruit and vegetables a day (a simple guide to portion size is a portion is roughly the size of your closed fist). The way I managed to up my potassium rich food was by including the vegetables in main meals and snacking on the fruit, nuts and seeds when hungry in between meals. I also found dried fruit useful for adding variety. This might seem difficult to begin with but give it a go and once you start try and stick with it as the benefits and the reduction in blood pressure happens of several weeks and months. I found it got much easier after the first week as it became more of a habit. If you really are struggling to eat 5 portions a day any increase will be beneficial and is worth the effort. For example a small study showed that eating two bananas a day had a positive and measurable reduction in blood pressure. Note: increasing calcium and magnesium has also been shown to help lower blood pressure. Many of the high potassium foods also contain calcium or magnesium. Not only will upping the fruit and vegetables help to lower your blood pressure, but all the additional vitamins, minerals and fibre will also help you avoid certain cancers, bowel problems, heart attacks and lower cholesterol. You’ll also likely have more energy and look and feel better! An additional benefit that has recently been reported in the journal Stroke states that people eating lots of potassium rich foods have a reduced risk of stroke. The report says that for each 1,000-milligram (mg) increase in daily potassium, the odds of suffering a stroke in the next five to 14 years declined by 11 percent. The researchers do state that the findings do not prove that it is just the potassium alone in the potassium rich food which produces the positive effect, but who cares! The science that potassium helps to lower blood pressure can’t be ignored. It has simply been proven so many times. On a personal level, after following a higher potassium diet for two months my blood pressure dropped by approximately 10 systolic and 5 diastolic. 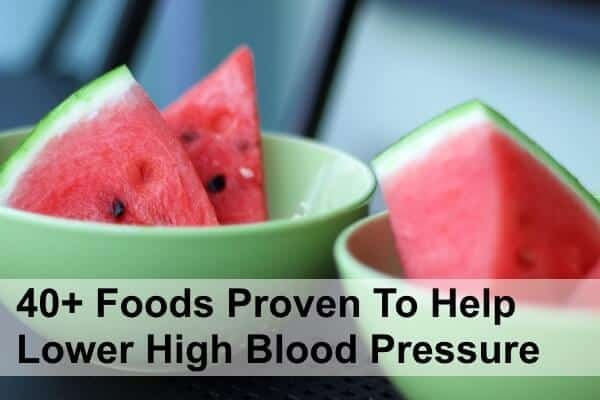 I only had stage 1 high blood pressure and many studies have shown that higher the blood pressure to begin with, results in greater the reduction in blood pressure. Note: supplementation with potassium tablets is not advised. Excessive intake of potassium can lead to a condition known as Hyperkalemia in people with compromised kidney function. The recommended intake of potassium is 4.7mg per day. Providing you do not go too far over this via your diet you will be fine. If you do have a kidney problem consult your doctor before increasing your potassium intake.